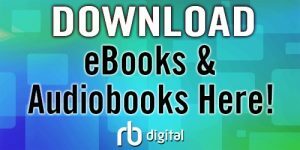 RBDigital eBooks/eAudio & Magazines – Coastal Plain Regional Library System Updating & creation of sub pages will be happening during the month of March and April. Magazines, e-books and audiobooks are accessible through your browser or the RBDigital app. If you were an account holder with Overdrive you should not have any problems registering with RBDigital. If you did not had the opportunity to use Overdrive and you are having trouble creating an account please call your Coastal Plain Regional Library to be sure your account does not need to be updated. If everything checks out your next step will be contacting RBDigital support either by phone or email. RBDigital's patron support line (877-772- 8346) or support e-mail (yoursupport@recordedbooks.com).